Credit Cards are now being taken for payment!! Civil Information Form - To be filled out by persons wanting papers served by the Sheriff's Office. The mileage fees listed above are made up of mileage for one round trip to each location at a rate of $0.36/mile, a return of service fee, postage. An additional $5.00 notary fee is now payable to the service. 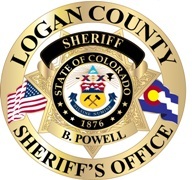 The Logan County Sheriff’s Office guarantees at least three attempts for each service will be made for these fees. For more information on civil process and pricing, please call (970) 522-2578 option 1.